“Hymn of Death” also called “Death Song” is a romantic tragedy drama. On March 12th, YG Entertainment announced that Lee JongSuk will play the lead role of the drama “Hymn of Death” (SBS 2018). The rest of the main cast also has been confirmed. Producer Park Soo-jin of ‘While You Were Sleeping’ (SBS 2016-2017) will be in charge of this new drama based in Korea 1920’s and on a true story. 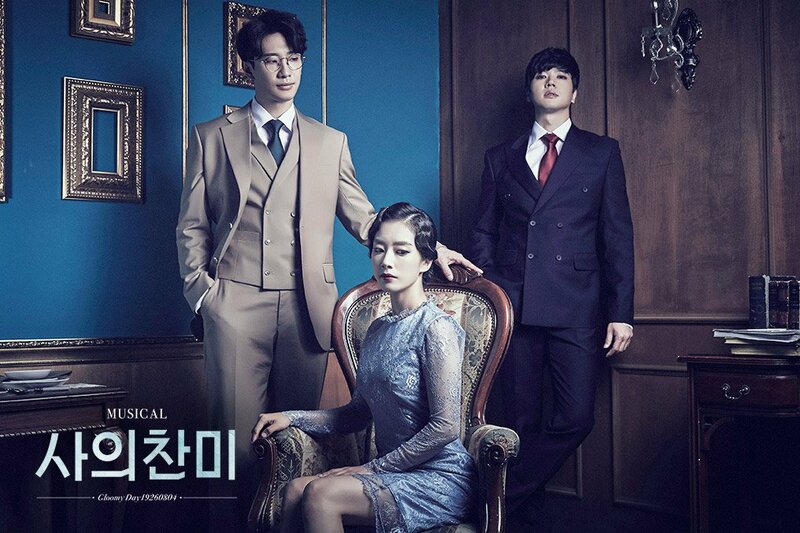 With background stories on Yun SimDeok and Kim WooJin’s musical works in the 1920’s, the drama will tell the love story of Korea’s first soprano Yun SimDeok and genius playwright Kim WooJin. A genius playwright, a scholar that loves English literature. His father is a poor village man. Korea’s first soprano and writer of the song ‘Hymn of Death’. A close friend of Kim WooJin and Yun SimDeok. He is in love with SimDeok but he realized that WooJin has feelings for her so he tries to stop his feelings. Knowing that their relationship is painful, he advised her to stop her feelings. Here are the official posters. Here is the first teaser. It is not the first time the three of them act together! They all appeared in “School 2013” (KBS 2012-2013). Lee JongSuk decided to be part of the project without guarantee payment. Koreans like those historical figures as there are already a movie (1991) and a musical about those. According to historical facts, Kim WooJin was a married man with a kid that is why Hang NamPa tried to stop SimDeok from loving him. Here is the poster of a musical on the same characters to give you one more idea about the vibe of the drama. The actor posted on Instagram about the drama.